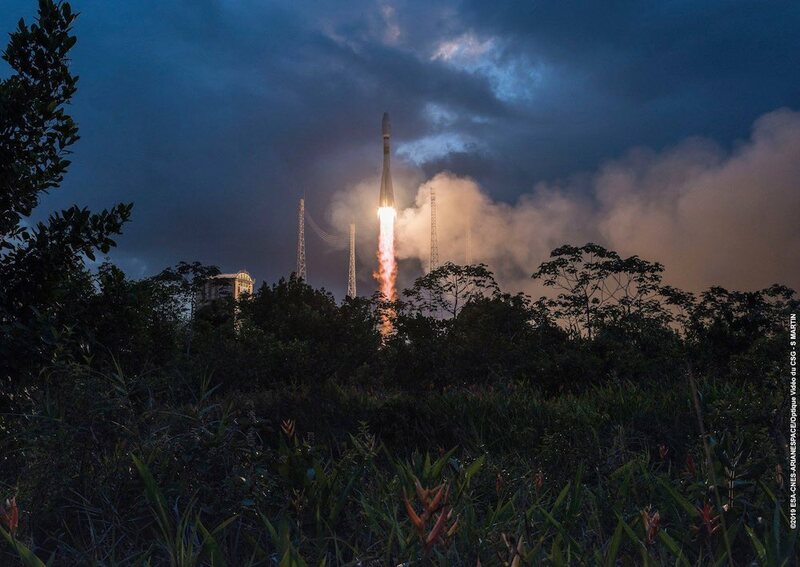 The Soyuz ST-B rocket, fueled by kerosene and liquid oxygen, lifted off from the Guiana Space Center at 6:37 p.m. local time Wednesday (2137 GMT; 4:37 p.m. EST), less than 10 minutes before sunset. 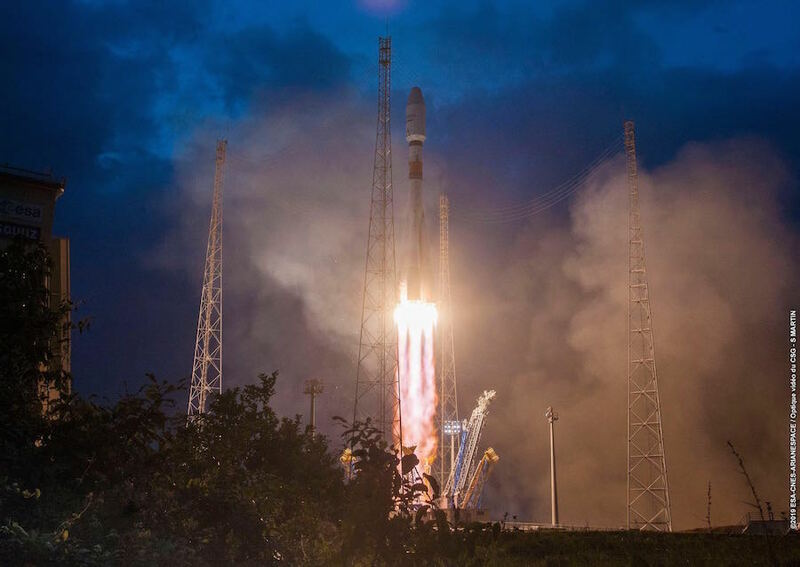 Climbing through broken clouds, the Soyuz ST-B headed into a polar orbit with the six OneWeb communications satellites, logging the first of a planned 21 Soyuz missions to deliver more than 600 OneWeb spacecraft to orbit over the next two years. 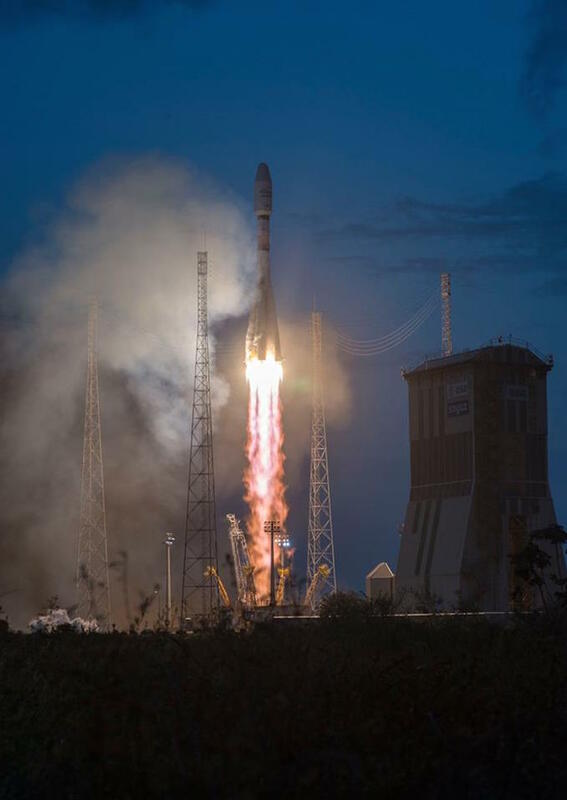 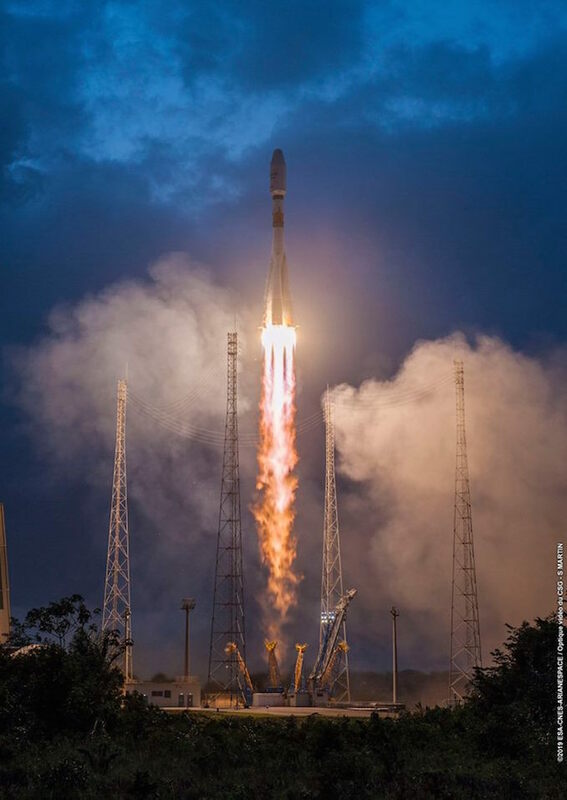 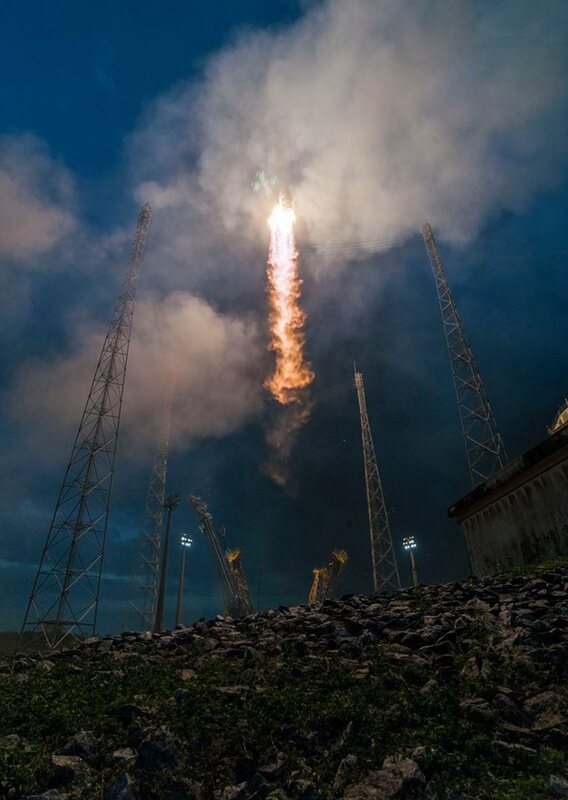 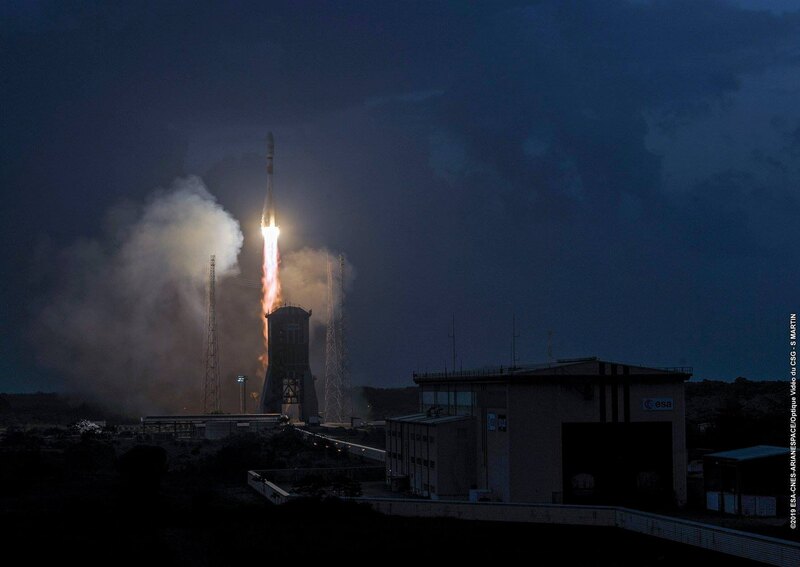 These photos show the Soyuz rocket’s fiery liftoff from French Guiana. 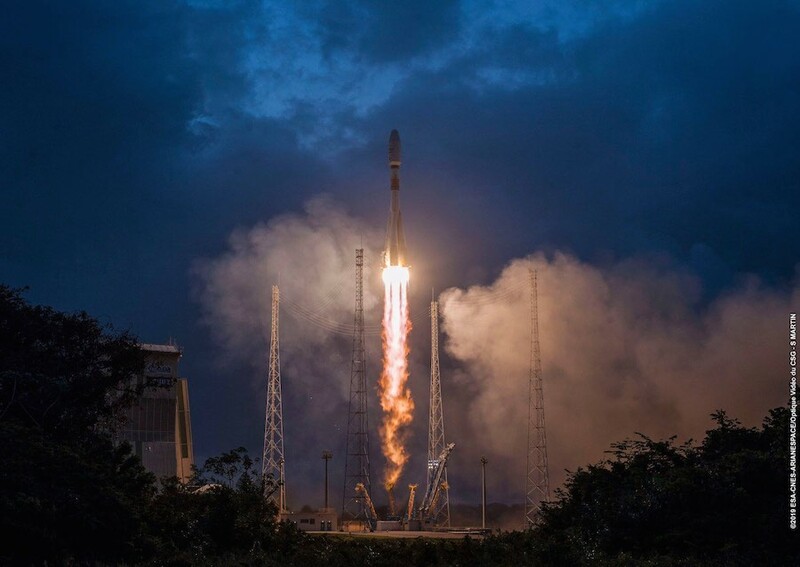 Wednesday’s mission marked the 21st time the venerable Russian launcher has flown from the European-run spaceport in South America over a career that has included some 1,900 flights since the 1950s.